Tips to travel to Tokyo on a Budget. Tokyo. Who wouldn’t want to get lost in the head-spinning maze of neon-drenched streets? One moment you’re dazzled by the ultra-modern skyscrapers and the next, sipping green tea at a centuries-old temple, disturbed only by the soft sound of sozu. 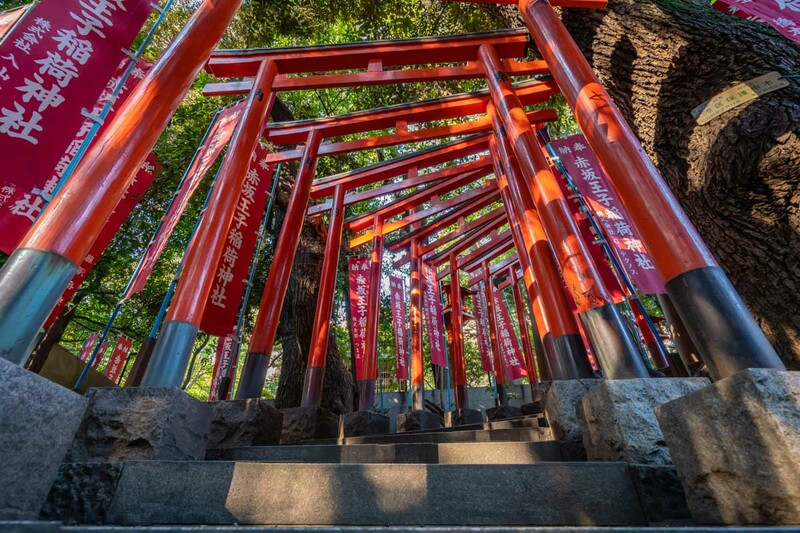 Tokyo is a global powerhouse with an old spirit, bustling with energy and the promise of adventure and excitement which it most certainly delivers. Just like a lot of great things in life, visiting Tokyo comes, quite literally, at a price – for many years now, the city’s been considered one of the world’s most expensive capitals, a major put-off for budget-conscious travellers. That being said, while the Japanese capital most certainly isn’t cheap, its costs are often exaggerated. In fact, I find them comparable to those of Paris or London and it is possible to travel to Tokyo on a Budget. If visiting Tokyo has been on your bucket list, but you’re worried about the impact on your wallet, fear not as I’m about to show you how to enjoy Tokyo on a tight budget! It’s perfectly doable and surprisingly easy. Let’s just jump straight into it! Tokyo is quite possibly the world’s most exciting dining destination. From the irresistibly cute, or kawaii, eats at Akihabara’s Maid Cafes to mouth-watering street food to the top-notch fine dining, Tokyo is most certainly not short of options when it comes to food. The good news is, the choice extends to budget dining. 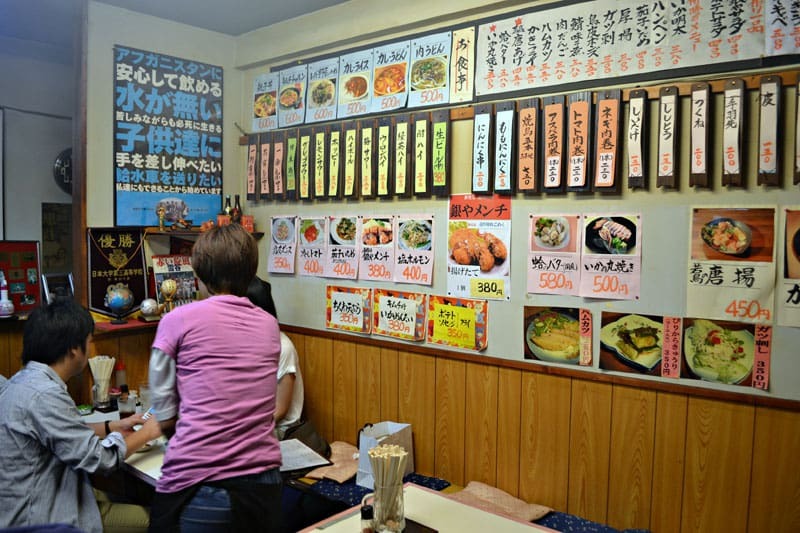 You will be surprised how easy it is to eat in Tokyo on a budget! Read: Why I travel for food, and so should you! 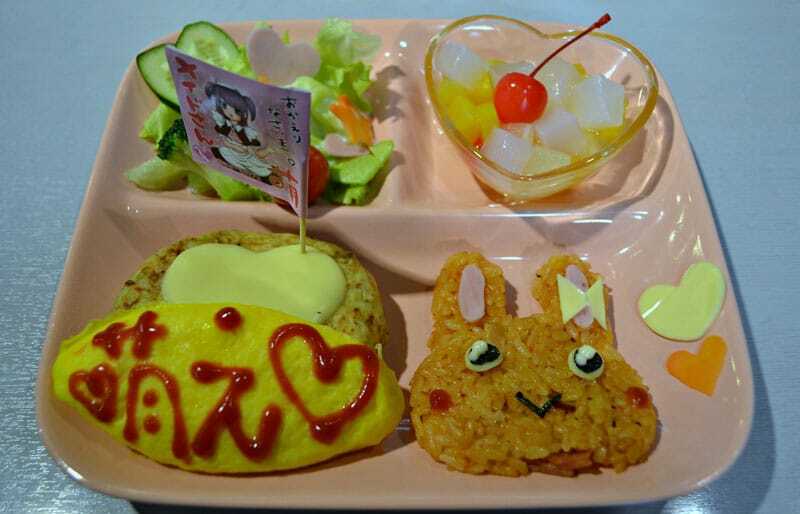 A not so traditional meal at a Maid Cafe in Akihabara. You can’t go wrong with Japanese street food – it’s delicious, filling and cheap! All will cost you around ¥150-700 (€1.00-5) depending on the portion size. Tokyo is filled with food chains, offering delicious and authentic, although not overly healthy, meals. Typical dishes include gyudon (shredded beef) or tempura (fried meat) served over a bowl of rice. They are often paired with a bowl of miso soup. Japanese-style chicken curry and noodle soup are also available for a bargain. The dishes often come as a set which not only makes it easier to decide what to pick (the choice can be overwhelming!) but also offers a great value for money. You can get a great deal at restaurants. Save your precious pennies and enjoy a truly authentic experience by visiting local spots. 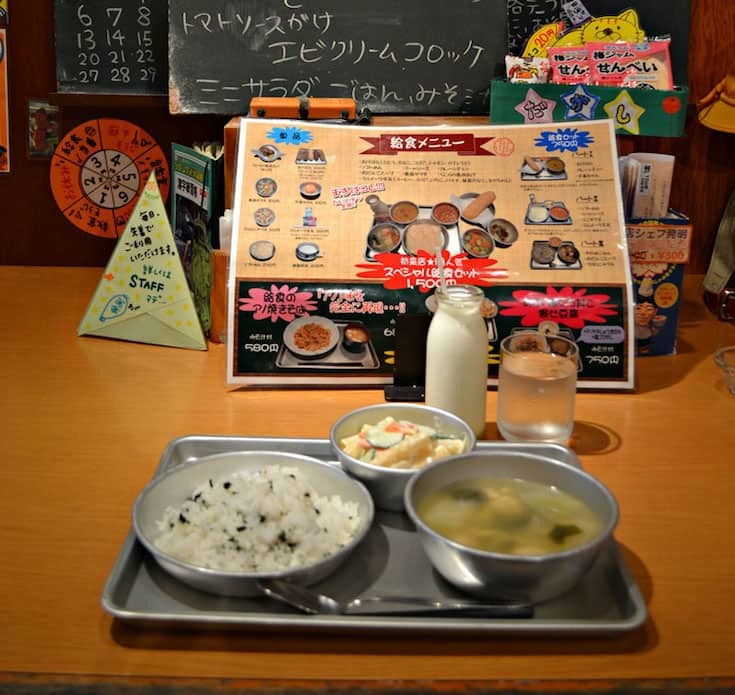 Known as Izakaya Alleyways, these usually small bars with unassuming, traditional decor serve some of the most delicious and very cheap meals. Some cost as little as ¥350-400. (around €3.00). Eat like a local at the fraction of the price you'd pay at a restaurant. You can never go wrong with shopping at a supermarket when you’re on a budget, but Japan somehow managed to turn this mundane experience into something comparable to a walk in a theme park. Where browsing through aisles packed with irresistible goodness makes you want to ditch restaurants altogether. Here’s a handy tip: all seafood/sushi meal sets (whose quality and presentation resembles an actual restaurant meal) are freshly made in the morning and get discounted up to 50% by the end of the day, simply because they are no longer considered fresh by the Japanese standards. This means that you can buy a perfectly delicious and filling meal for as little as little as ¥300-900 (€2-7), depending on the size. Tokyo has an exciting choice of ultra-cheap hotel alternatives. It wouldn’t be Tokyo if they weren’t all slightly quirky and unusual. These are two things you have to be ready to embrace during your stay in Japan’s capital. Let’s start off with my personal favourite – capsule hotels! As the name would suggest, capsule hotels offer tiny, capsule-like sized rooms, or sleeping pods to be precise, large enough to fit a bed, a small ceiling-mounted TV and a radio. These are immaculately clean and modern. Some have access to sauna facilities and sometimes even a room filled with comic books. A night at a capsule hotel will set you back a mere ¥2-4,000 (€15 -31). These type of hotels are extremely popular and are scattered all over Tokyo. A simple Google search is all you need to book a room, erm, pod! 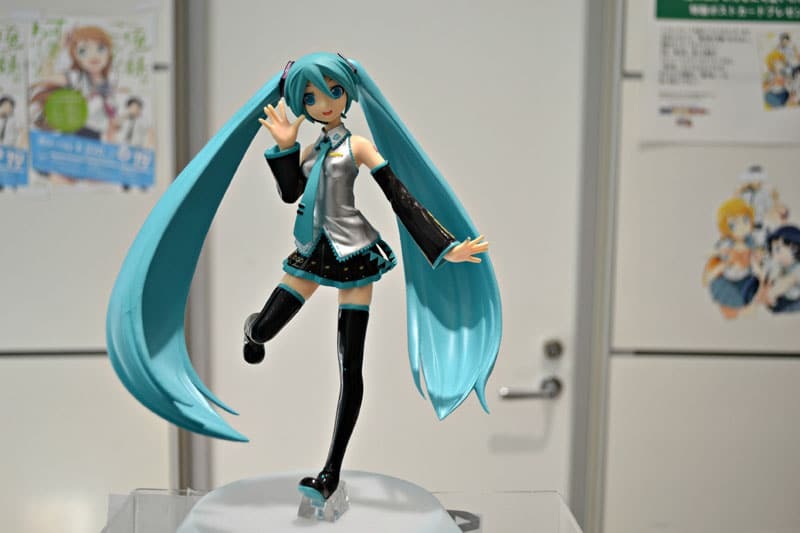 If you happen to be a manga or comic enthusiast travelling to Japan on a budget, then you’re definitely in luck. Manga cafes started off as a place where you could read the endless supply of manga and surf the internet, but they soon became a response to the expensive hotel and accommodation costs. Manga cafes have private cubicles equipped with a desk, a computer with unlimited internet access and a large chair (some manga cafes offer a sleeping matt). While crashing at a manga café is not exactly as comfortable as a night at a hotel and you’ll probably want to limit your stay to 1, max. 2 nights, it’s endlessly cheaper (¥1,500 – 2,500, so around €11-19). Staying at a manga cafe will also give you a fantastic sneak peek into the Japanese youth culture while being a place where you can meet other travellers. The two biggest manga cafe chains are Gera Gera and Manboo. If none of the above options sounded appealing, then there’s always the more conventional Airbnb and Hovelstay, were you can find rooms varying from €40 to €150/night. It’s hard not to be tempted to shop when every perfectly packaged product, from skincare to chopsticks screams “buy me!”. Surprising enough, you can actually shop till you drop in Tokyo, without breaking the bank. If you want to stock up on souvenirs and accessories while brushing shoulders with the famous Harajuku girls, head to Daiso on Takeshita-dori, Harajuku’s main shopping street. Most things there cost only around ¥100 (€1) . There are many other 100 Yen stores all over Tokyo, stocking pretty much everything under the sun, from cosmetics and snacks to kitchenware. You don’t have to limit yourself just to the discount stores though – a lot of shops have sales on and stock budget-friendly products. Shopping in Tokyo will leave your head spinning! 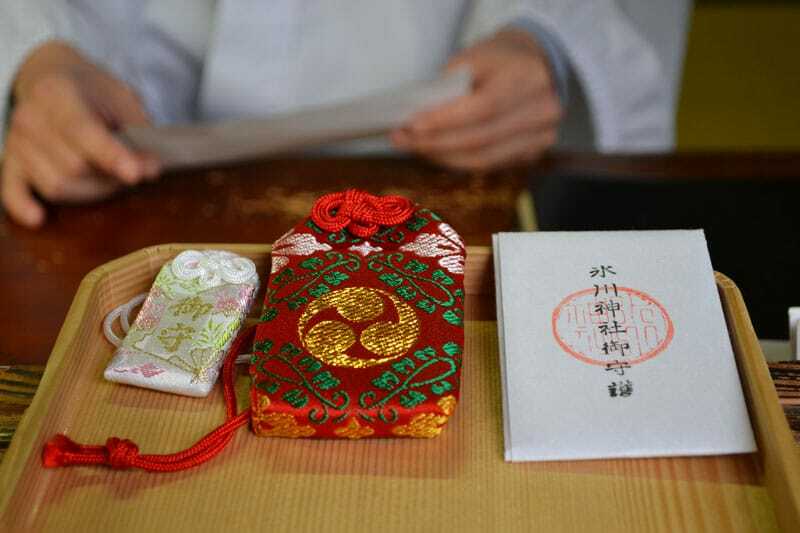 If you’re looking for a more traditional and a meaningful gift, most temples in Tokyo sell talismans – they can cost anything from ¥500 – 1,500, depending on the size, type and the temple you’re buying them from. Tokyo offers endless opportunities for those who want to see it for free. A stroll down Takeshita-dori or the famous Shibuya crossing is an eclectic feast for the senses and an experience in its own right – you don’t actually have to buy anything to enjoy it! If you want to escape the chaos, visit one of the Tokyo’s many gardens and parks (I recommend Ueno) or do a bit of temple hopping – a lot of temples (such as the famous Senso-ji in Asakusa or Meiji Shrine) are free to visit! And there you have it – who knew visiting Tokyo on a budget could be this easy! 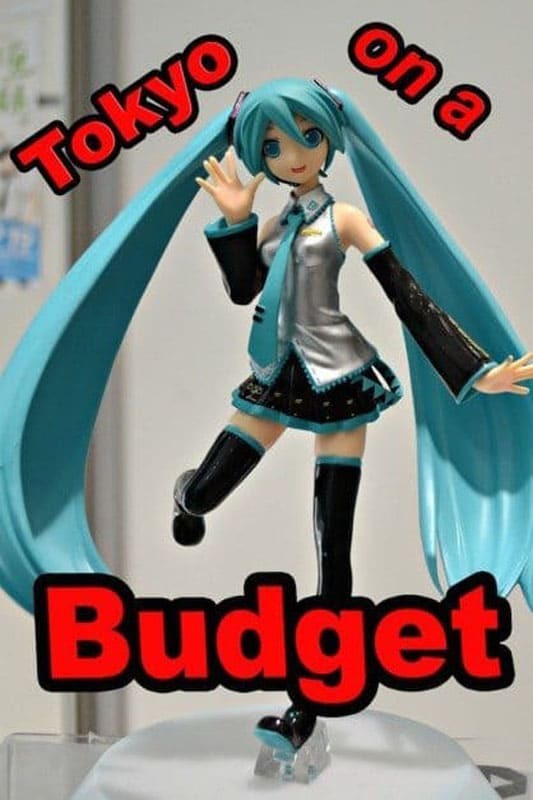 Do you have any budget tips of your own? Feel free to share in the comments. Marta is a digital nomad and the creator of A Girl Who Travels, where she writes about budget, solo and female travel as well as location independence. You can also follow her adventures on Instagram and Twitter. « The Truth About Cycle Touring – Is it Right for You? 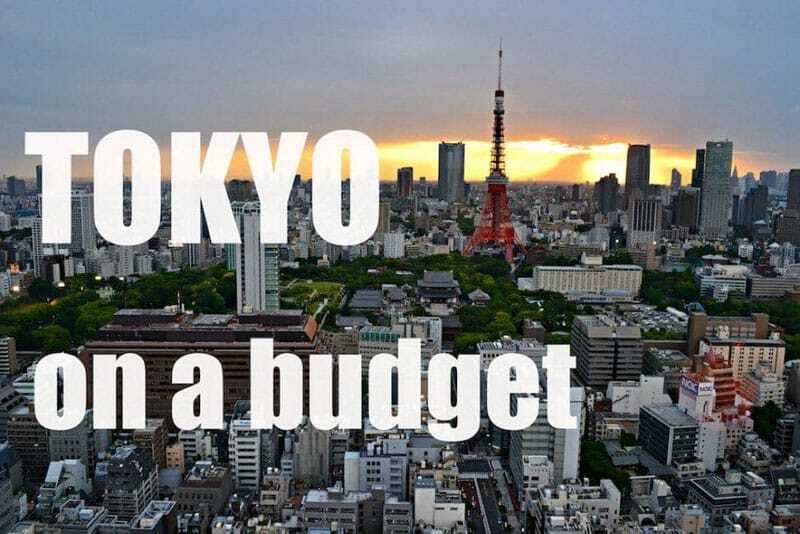 21 Responses to "Tokyo on a Budget – How to Travel Without Breaking the Bank"
A conversation in English can be difficult because many Japanese students learn conversational English from non-native speakers of English. In effect, they have their own dialect, which means that a native English speaker might have a difficult time understanding two Japanese people speaking English to one another. It’s not all that different from trying to understand English as spoken by Scots with strong brogues. Long before the arrival of translation apps, I discovered a useful trick. Bring a notebook and pen and print your question in the notebook. A large percentage of people under 30 will have no problem reading the written English and then writing a response. We spent 2 weeks (no way near enough!!) in Japan in 2012, with 5 days of this in Tokyo. We had concerns about how expensive it was going to be…. But, we we pleasantly surprised. Yes, you could make Tokyo very very expensive, but as you have shown, it can be a cheaper destination than people think. We stayed in low cost Ryokans and capsule hostels (a very interesting and fun experience), travelled on overnight coaches and most of our lunches were bento boxes. This allowed us to save money for some of the more expensive stuff that we wanted to do – like a trip on the Shinkansen. If you are sensible with your money, Tokyo is an affordable city! When I was in Tokyo I love to eat on street foods because I got to experience authentic Japanese food without hurting my pocket. I also got fascinated with so many vending machines there whether it is for coffee or snacks! You’ll love it Tina, it’s a wonderful place and there’s SO much to do! Great post, thanks for the information. The sleeping pods are a very interesting idea indeed! 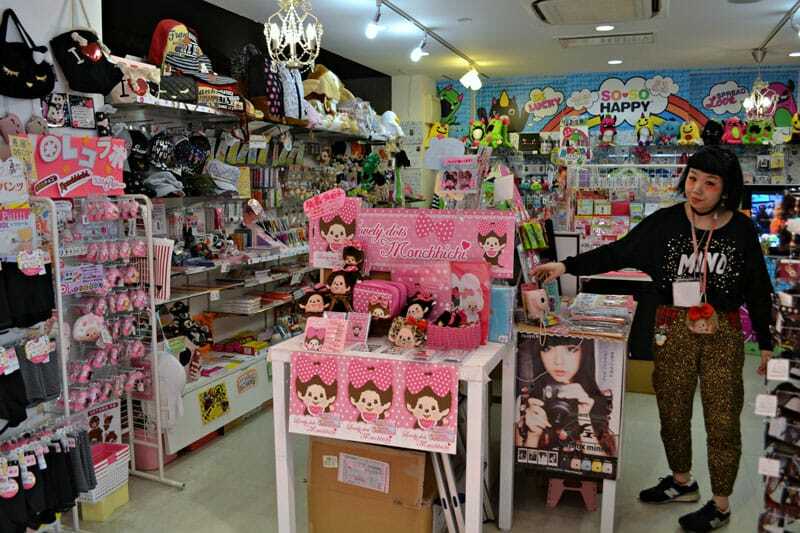 This is awesome…i thought that Tokyo is too expensive..
You’ll absolutely love it Victoria! As for the language barrier…Japanese appear to speak their own version of English, so it’s kind of like English mixed with Japanese..for example, instead of “street” they’d say “streeto” and instead “right” , “righto”! haha. This is basically how I started speaking to everyone and I was just fine! Also, Japanese are always happy to help, regardless of their level of English – I had people giving me lifts, printing out maps for me or even calling up their friends if they weren’t sure of the direction I should take – amazing!! So great to hear that the post gave you new ideas about visiting Tokyo! I visited it a year and a half ago by the way. I love being a regular reader of your posts…. It’s great to know that Japan is becoming more affordable and truth tbe known, my neighbours who are young lawyers, backpacked around Japan a few years ago, and really raved about it. Language was a problem though as they’re German LOL! They told us that it was mamageable but we didn’t believe them. I do have to roll my sleeves up though as I have a young son who is a Manga addict AND is learning Japanese just so that we can take him there one of these days. OMG! I have been to Tokyo many years ago and it was expensive then. I enjoyed my stay very much, but refrained from returning because of the cost. This posting has opened my eyes. Have things changed over the years since I have been there or did I just not know about it? Either way, I am excited about your posting. I may find the really compact stay at capsule hotels or manga cafes a little too small for me, but Airbnb sure sounds like a great way to go. In my creative energy, the thought sounds awesome – sort of the ideal blend of kitsch and sentiment. Be that as it may, I think in actuality, I would have dreams about being covered alive. I would love / hate to stay at a capsule hotel. In my imagination, the idea sounds great – kind of the perfect combination of kitsch and romance. But I suspect in reality, I would have dreams about being buried alive. What do you think Marta? Are capsules OK for claustrophobes or not so much? Travel cost don’t think a big issue anytime, lots of traveling offers running over the year on the net & almost all are very cheep. Just search google. Have a memorable trip. Yes, it’s a common misconception that Tokyo’s expensive! 🙂 As for the flights, try booking as far in advance as possible, use price comparison sites like Skyscanner for research and subscribe to airline newsletters to stay up to date with the latest discounts – this should help you cut the costs down a bit! Safe travels! well it’s not expensive as I thought it would be, though my main problem would be the flight itself!